I got my first degree in South Africa after studying for 3 years. It was a degree in Accounting and Finance. In January 2009, I was earning a salary as a full-time employee for the first time. You can imagine the joy and excitement from earning zero to earning something. Around this time was when the media was buzzing with South Africa hosting the World Cup. It was everywhere. The best thing was there were discounted tickets for the residents of South Africa. So, really, there was no excuse not to watch at least one game as a middle-income earner. 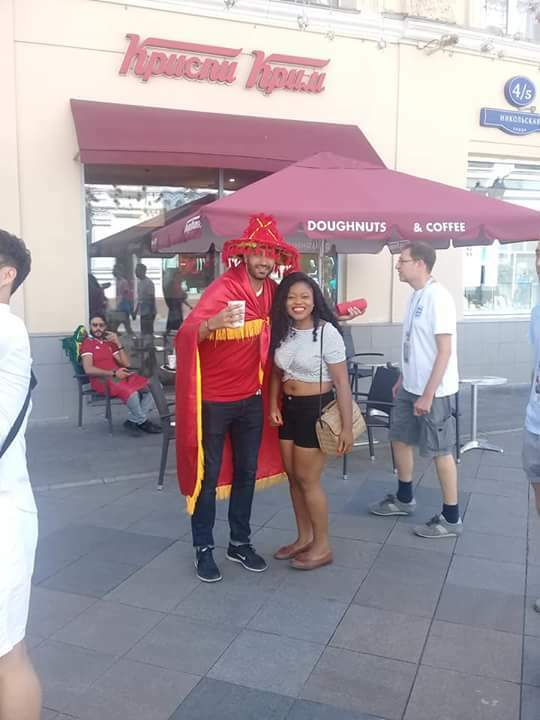 It was my first time experiencing a World Cup ever. It was like having a representative from different parts of the world all in one place. A random cocktail hang out would include for instance a Brazilian, a Chinese, a Briton, a Ugandan, a German – just name it. 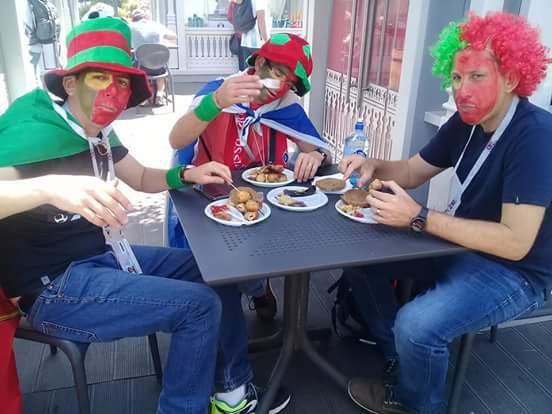 After the amazing experience of tasting the euphoria of the South Africa World Cup, I promised to always attend them. Unfortunately, I couldn’t make Brazil. So, you can imagine my joy and excitement when Russia 2018 came around! I logged into the FIFA’s World Cup ticket site. 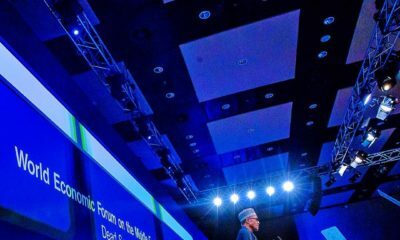 I crossed my fingers as I placed a bid for the Nigeria vs Iceland match. My bid was successful. I knew that there was no turning back. 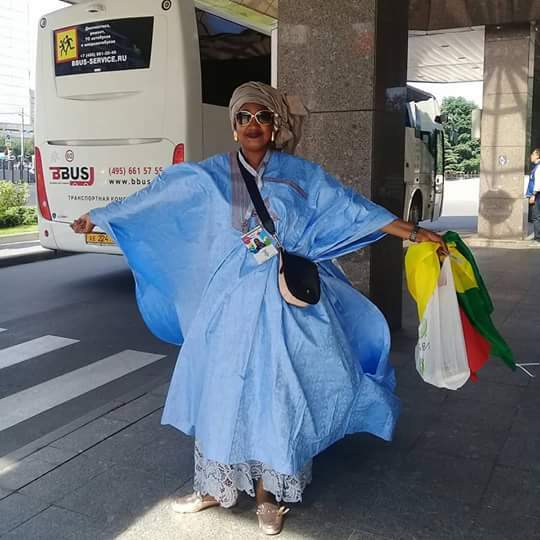 I am travelling to Russia for the World Cup, I shared with the family. It was like I was possessed; I googled the streets of Moscow, the top 10 things to do, how to survive a kidnap. Going by the things I searched online, it was a mixture of excitement and a little fear of the unknown. But nothing, absolutely nothing, was going to stop me. I bought my ticket, hustled home and abroad for the original Nigerian jersey (please don’t laugh, the hustle was real). The plan was to cover 3 cities in 12 days. I travelled via the UK to kill 2 birds with 1 stone. Visit my godson, then travel from London to Moscow. We arrived in Moscow. The airport I travelled through, Domodedovo Airport (there are 3 international airports in Moscow), the entry point felt like a camp. Very bland, with strong faced officials. 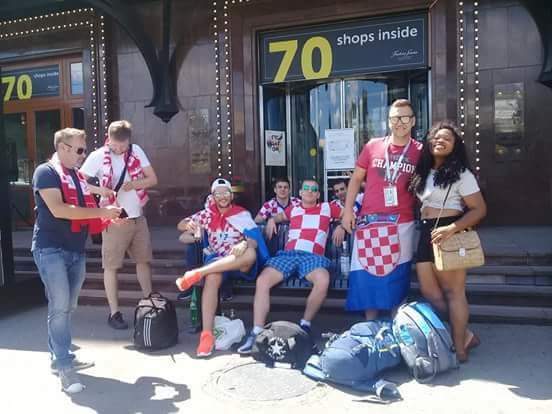 Because of the World Cup, the entry into Russia was visa-free. A fan ID – an application made online with a ticket purchased – was the form of access. I showed the immigration officer the soft copy of my fan ID via my phone and in 5 minutes, I was let through. What? It was much easier than getting access into Ghana, considering Nigeria shares a border with it. The airport was littered with lots of fans from different parts of the world. The excitement in the air was so strong, you could cut through it. Everything felt weird. The average official had a uniform like kind of attire, straight-faced with no trace of English anywhere. Seeing as they were hosting the World Cup, you’d have assumed there’d be translations into different languages. Even when we went on a boat tour, the commentator was communicating in Russian. Can you imagine? I changed some foreign currency and proceeded to my Airbnb. It was an apartment 20 minutes from the city centre in Moscow. My host was really kind, but spoke no form of English. We communicated through the app and exchanged lots of smiles. It got tiring because there really was nothing we could say to each other and in all honesty, he was really trying. Both our cheeks must have been sore from the smile of assurance we kept sending to each other. I took a shower, settled in and rested for the next day. 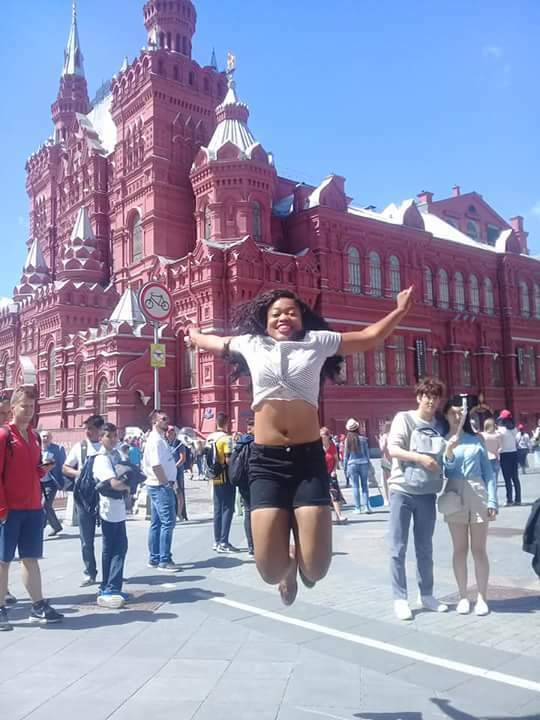 Moscow was so beautiful, my goodness. The architecture was like a dream. I wasn’t sure what to expect, but to actually see all the images I was oohing at online in person was surreal. It had a character of its own. I’d describe it as a young modern ambitious woman who’s unpredictable. The streets were clean and studded with magnificent buildings. Moscow wasn’t always the capital of Russia. That used to be St. Petersburg. In each city, there was a fanfest hub dedicated to fans. People took it like a job. The tourists would literally wake up, get dressed, and head to the fan fest. It was like a carnival that needed religious resumption. The alcohol would flow real early. I am talking 7 AM-ish. I am not making any of this up; the sun rose as early as 3 AM. Did I mention that, in some places, alcohol was cheaper than water in Russia? What is sleep? Sleep is for the weak. We were up early, stringing the streets, dancing with other fans and exploring the city with our fan IDs around our necks. It was like the pass to heaven. How can you be in a new city and not hop on the tour bus to learn more about it? My travel buddy and I took advantage of these packages. We had such a magical moment, but unfortunately missed our connecting transport to the next city. It’s a long and painful story. I erroneously booked a ticket for 7:30 PM instead of 7:30 AM. To change it would have cost me an additional $1,000 due to demand. My next best option was a bus. I jumped on the bus option and booked it online. When I got to the “bus” station, alas: error, the driver had taken me to the train station instead. Let’s blame it on the language barrier. I got to the front desk at the train station trying to explain what happened to the lady and how she could help me get to the bus station. I was mentally exhausted. I cried. The Russians formed a mini circle around me while everyone took out their phones to call a friend who could speak English so I could narrate my story and the English speaking friend would interpret. In hindsight, it was hilarious. The language app would have worked just fine. A Russian took up the task from the minicircle of sympathisers. He found another ride, got me to the bus station, and bullied his way to the front to ensure I did not miss the bus. We found out my name was not on the list of bus passengers for the night. The contractor I bought it from online apologized the following day and refunded me. I needed to be in Volgograd. The next flight was 9 AM the next day and it cost $1,000. A kind couple who witnessed the episode suggested we called a Yandex taxi, the equivalent of Uber. Yandex came to the rescue but it cost $500. He quoted an offline fee as it was not in his best interest to travel 10 hours and travel back with no passenger in it. Luckily, I saw 3 Nigerian men strolling into the station (we are always late). They’ve missed the bus. Amen! We all travelled together splitting the cost. Phew! Yay, Volgograd here we come. It was a 10-hour drive of comfort. The roads were great, connectivity was excellent and the weather was good. No complaints. 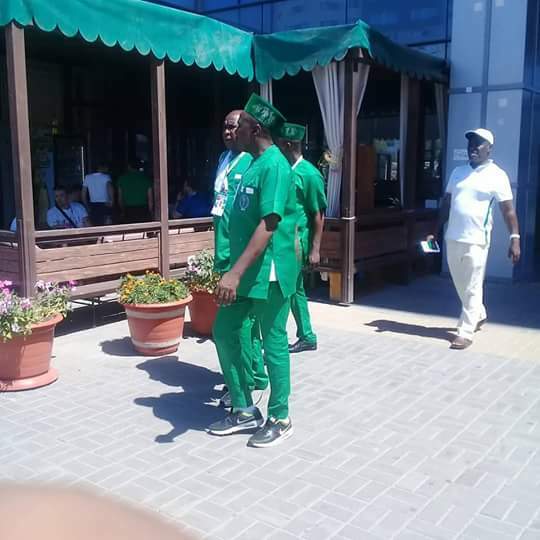 It was the 1st match we would be attending live in Russia – Nigeria vs Iceland. We freshened up and arrived at the majestic stadium. Not nearly enough Nigerians were present. It was a 97:3 ratio. Side note: We need to work on creating more incentives for a better representation of Nigeria. 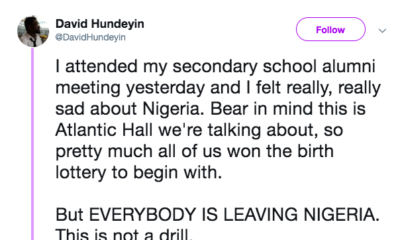 There are a lot of Nigerians living in Europe. A return ticket from London to Moscow was as low as 300 Pounds. While there were some low moments, I had more of high moments. Considering I bought the lowest category ticket, my seat position was heaven sent. I sat right before the Icelandic goalpost. We saw those magical goals against Iceland happen before our eyes. I could touch the players. It was such a beautiful experience. Although the Icelanders lost, their spirit wasn’t dampened. They cheered their team until the very end. I learnt so much that day. The following day, we took a tour of the city and the historic site of the famous Stalin War in Volgograd, Russia. We made yet another trip to a third city. We were happy, excited, filled with joy about our last win and the memorable experience. But we were also beginning to feel fatigued. 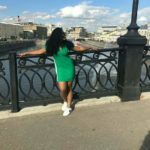 Travelling and holidaying in a country with a language barrier, the stops so fast-paced, and the need to always be on the move was beginning to weigh on on Modupe and me. It was a smooth trip though. We got to the airport on time, arrived in St Petersburg at 3:20 AM. We had become pros at hailing cabs. As we drove into the city centre at the wee hours of the morning, everything before us was a beauty. St Petersburg was a story to be told. It reminded me of a classy, mature, experienced woman who had seen the pits of hell but came out triumphant. And really, that’s the history of St Petersburg. It emerged stronger from its travails. Our apartment was quite fancy. It was so cool that we hosted some fans, also on holiday, for lunch. We spent the longest time in St Petersburg. 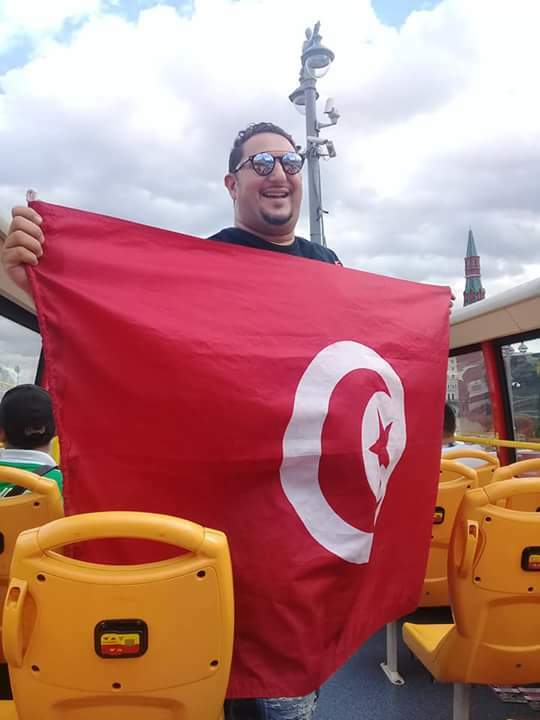 We toured the street, experimented with food, went on boat tours, hung out with random fellow fans, danced on the streets, club hopped, used public transport – metro station and buses, cooked, just name it. I am going to visit St Petersburg again. It captured my heart. I’d like to go through the motions again, slowly. Did I mention that I didn’t have a ticket to the Nigeria vs Argentina match? The tickets were hard to find. My friend and I paid 3 times the cost from Argentines due to the high demand and low supply. Everyone wanted it. We were so desperate for tickets that we were willing to stay up as late as 1 AM to track our sellers who were waiting for a higher bidder. A lot of Nigerians watched the game from outside the stadium due to the exorbitant cost of the ticket on the black market. Imagine a ticket of $105 retailing from $800 to $1000. This could have been because of poor planning. I struggled to get it on FIFA’s site as I placed a bid for it late. 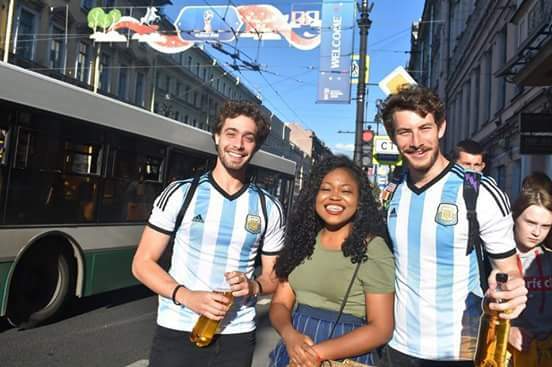 It was the mother of all of Nigeria’s matches at the group stage of the World Cup. The most anticipated one. We all sat at the edges of our seats. Imagine us believing we had scaled through, only for the final goal from Argentina to come 4 minutes to the end of the match. We went through all the emotions: joy, excitement to sadness. 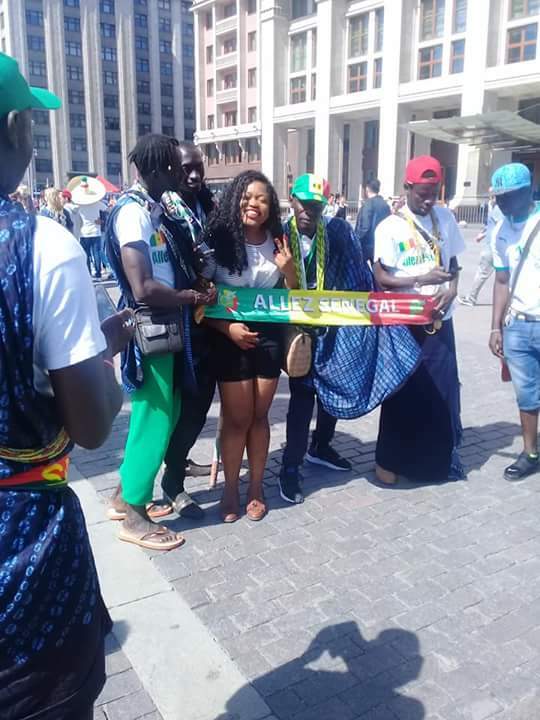 The Nigerian fans were more this time, compared to that of Volgograd. However, still a disappointing number. The capacity of the stadium was 64,287. There were roughly 2,000 Nigerians there, or maybe less. And we were scattered in little pockets all over the stadium. Oh well, our boys really tried. 2 days later, I boarded my flight and returned home. I will not trade any of the memories I made for anything. It was money and time well invested. 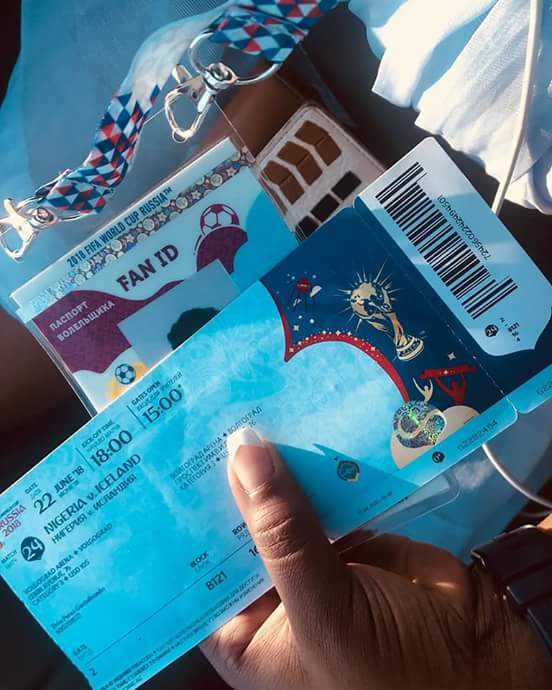 If you plan to attend the Qatar 2022 World Cup, do you know that if you start investing ₦10,000 every month that will amount to ₦560,000. Enough to get you to Qatar, host you for a week, and pay to see at least 1 match? Start investing towards things that you like. 11-year-old Drake fan, Sofia’s Heart Transplant was a Success! Oluwatosin Olaseinde is the founder of Money Africa, a personal finance platform to educate millennials on smart ways to cut expenses and grow income. 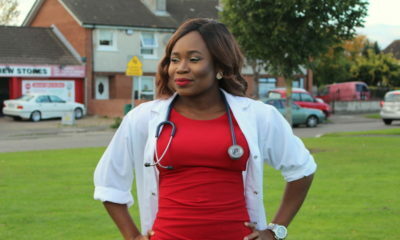 She is fondly called investment mama by friends. @moneyafrica is on all social media platforms Twitter, Facebook and Instagram. It was divine and this is not even half the story. I enjoyed the entire write up. Thank you for sharing your experience with us. You write well. it ws a fun read for me. Well written. I could picture the streets and your experience in my mind’s eye. 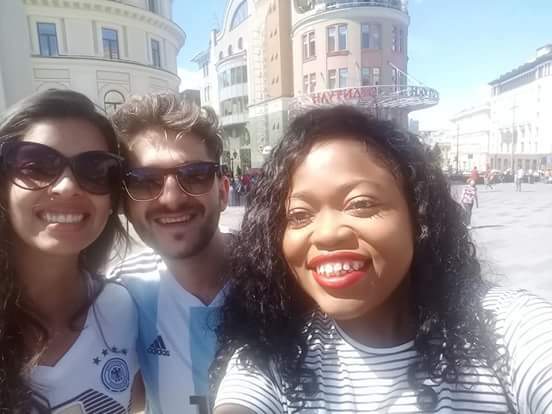 Thank you to the write – Oluwatosin, for taking me to Russia for the world cup with you. You wrote this so beautifully. I was all smiles read/experiencing it. Thank you again. Lovely piece. I love how the writer compares cities to women. It sounds like she thinks in pictures. Very interesting thought process. 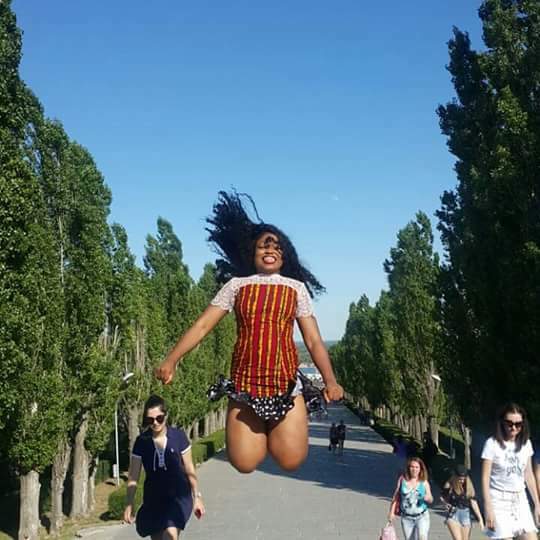 I am also wondering how high she had to jump and how many times to get this last picture. Nice picture too! I do think in pictures. I saw someone mention the post on Twitter, then I had to Google your name, Russia and BellaNaija to find the article. I’m glad I did. I will definitely start saving for Qatar 2022. Thanks for the inspiration.